What did Dr. Ziv Peled and I discuss today during my 6 week migraine surgery follow up phone call? 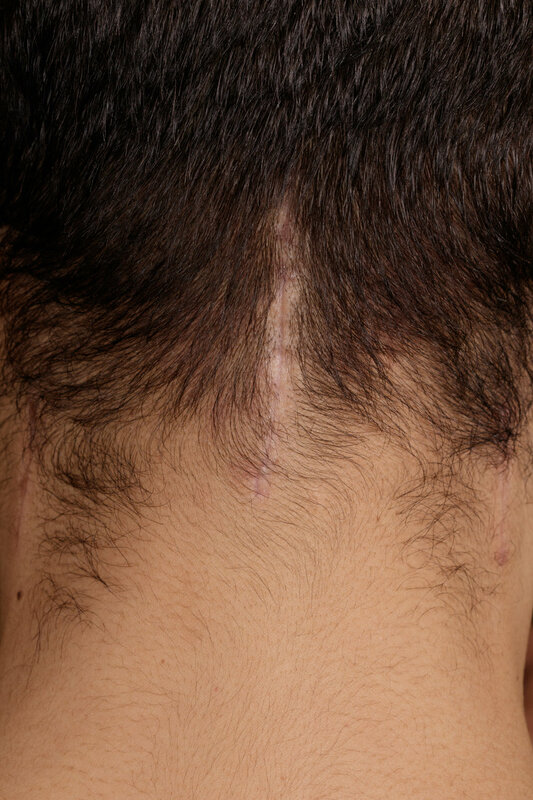 Dr. Peled asked about my incisions. I told him that they were healing well and were totally pain and complication free. This has been the story of my incisions from the beginning: they have on a steady course of healing since day one. During my 3 week follow-up with Dr. Peled, all information about the status of my headaches was taken with a grain of salt. He told me that I needed to give my neck at least several weeks to heal from the surgery itself before I could discern the difference between headache pain and pain from the invasiveness of the migraine surgery. Today during my 6 week follow up, Dr. Peled was more curious about the status of my headaches. Headache symptoms in my neck are completely gone. 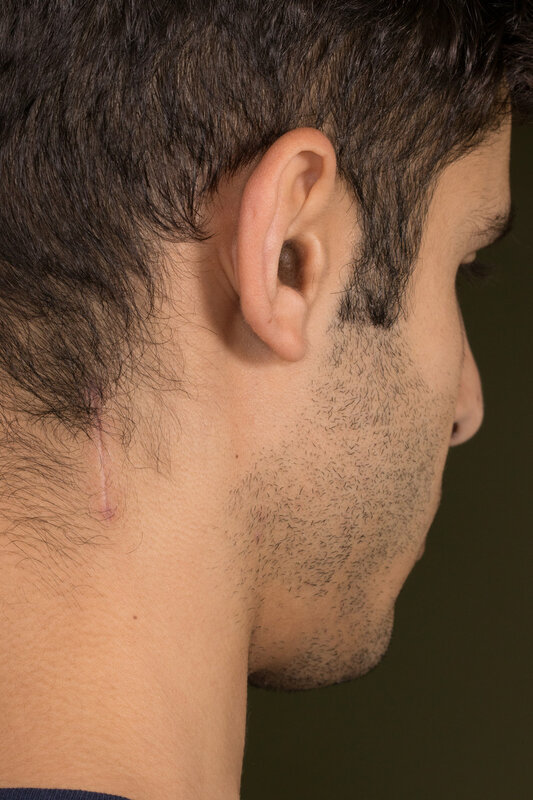 This is the area Dr. Peled operated on, and it is completely headache free. I'm definitely having occasional headache symptoms in my eyes and temples, and so I asked him about operating on these areas too. All along Dr. Peled had told me that it was prudent to wait 3-6 months after the migraine surgery on my neck before deciding whether or not to do surgery on the eyes and temples as well. This is because inflammation in the nerves of the eyes and temples can actually be caused by inflammation of the nerves in the neck, and often after decompressing the nerves of the neck through migraine surgery, the nerves of the eyes and temples might calm down as a result. He told me that he had done follow-up operations in as little as 6 weeks, and that if I felt strongly that my neck had stabilized and yet symptoms persisted in my eyes and temples, that he would consider operating on my eyes and temples soon. I told him that I did feel this to be the case, but that the eye and temple headaches were mild and infrequent, and that I would be glad to wait until our next follow-up on March 6th before making any decisions about a follow-up operation.